The “Party of Lincoln” is dead. It’s dead carcass has been hollowed out by the far-right fringe parasites of the Neo-Confederate secessionists, John Birchers, and theocratic Dominionists. The pundits have yet to come to accept this obvious fact, and to write the obituary of the Arizona Republican Party. 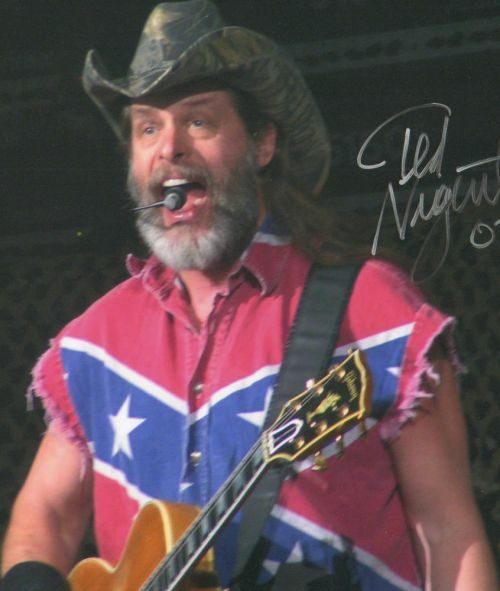 Ted Nugent’s racist rants and Threatening the President’s Life are well documented. This is the face of your Tea-Publican Party, Arizona. They should drop the pretense of clinging to the “Party of Lincoln” label and just embrace what they have become by holding an annual Jefferson Davis/Robert E. Lee Dinner, followed by a good old-fashioned cross burning. 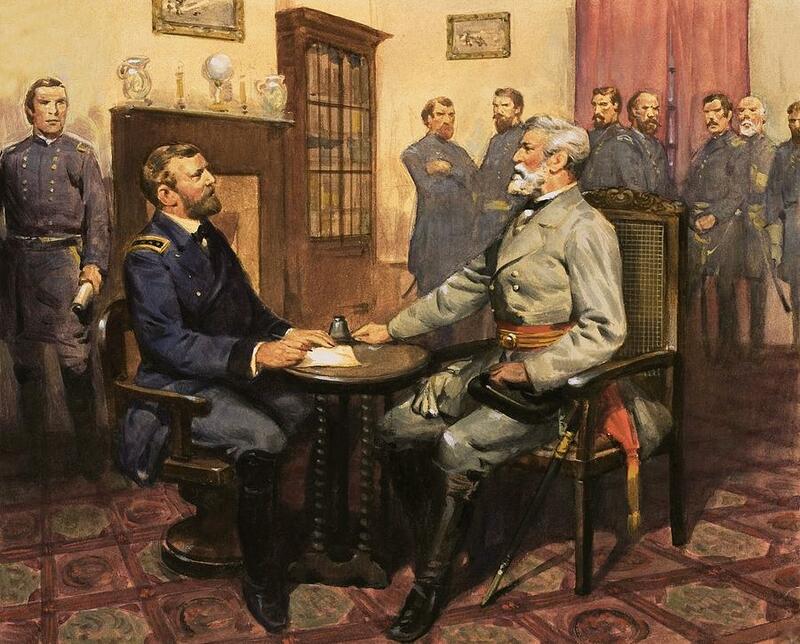 This Thursday, April 9, is the Sesquicentennial (15oth) Anniversary of the unofficial end to the Civil War when Gen. Robert E. Lee surrendered his Army of Northern Virginia to Union Gen. Ulysses S. Grant at Appomattox Courthouse, Virginia. Two years ago, writing in The New York Times on the occasion of Memorial Day, Jamie Malanowski proposed recommemorating 10 Southern U.S. Army bases that bear the names of Confederate officers. And the “Party of Lincoln” would have survived to celebrate this day. RIP. Your author proves one thing above all: In his mind the Civil War still isn’t over. What’s funny is there is nothing new in what he is saying. His arguments were the same arguments hard-liners were spouting in 1865-68. 150 years later and he still thinks the south needs punished. Nothing he suggested would make things better, but it does provide him with the dual opportunity to bash both the South and the GOP. Couldn’t pass that up when it came along. What Mr. Kilgore glosses over – as is common whenever liberal writers talk about the Civil Rights Movement – is that opposition to it was largely a Democrat “thing”. It is also good to remember that when Confederate flags were placed on the State flags of southern states, it was under Democrat Governors. I will agree with him, though, that the current possessor of the lost cause is the GOP. It is embarassing when they talk about nullification and secession, but it will pass with time. While waiting for that to happen we just have to find ways to channel that energy into something more productive. You don’t like super patriot and vietnam war draft dodger ted nugent? What are you against child molesters? His music is awful and so is he. Ignore him. He’s useless.